Dining out should be a fun experience of laughter, joy, and sharing good food with great people. Babalu Tapas & Tacos in Jackson MS seeks to bring people together by offering a fiery Spanish-inspired menu that includes tapas and small plates that are meant to be shared with others. 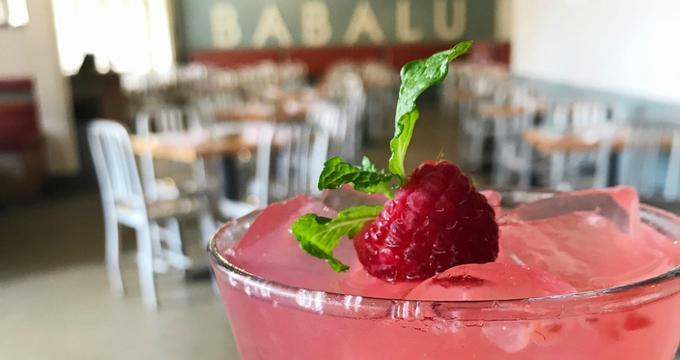 Babalu Tapas & Tacos believes that eating out should be a connective experience. With a comfortable airy environment and a menu that lights up the taste buds, diners will find that Babalu Tapas & Tacos is the perfect gathering place for great food and drinks with good company. Babalu Tapas & Tacos is steadily expanding throughout the United States and has several locations throughout the Southeast. The following is a listing of the states where Babalu Tapas & Tacos operate. For more details on specific locations and days and hours of operation, visit the Babalu Tapas & Tacos website. Reservations are not required to dine at Babalu Tapas & Tacos. For more information on making a reservation at Babalu Tapas & Tacos, contact the local location of choice. The menu at Babalu Tapas & Tacos features an assortment of Spanish-inspired tapas and small plates that allow customers to share their dining experience with each other. Menu offerings vary based on location. Some examples of menu items are as follows. · Starters - House-smoked chicken wings, tuna ceviche, calamari, tableside guacamole, queso blanco, pico and house chips, and more. · Tapas - Enchilada, grilled chicken satay, filet on a stick, pan-roasted redfish, Creole shrimp and grits, pan-seared crab cakes, chicken tamales, shrimp and chorizo skillet, and more. · Tacos - A variety of tacos such as pollo, camerones, atun, redfish, de pato, carnitas, vegetal, carne de vaca, and carne de cerdo. · Tortas/Sides - Lamb, Baba or black bean burger, tuna BLC and torta Cubana; sides such as cheese grits, pepita rice, street corn, thin or sweet potato fries, and more. · Brunch-Food - Breakfast torta, torrijas, tacos desayuno and more; drinks are martinis, mimosas, and Bloody Marys. · Dessert - Cheesecake bites, chocolate truffles, bread pudding, and tres leche cake. · Kids - Grilled cheese sandwich, chicken tenders, kids’ Baba burger or tacos and quesadillas. · Drinks - An assortment of margaritas, specialty cocktails, sangria, wines, and draft beers. Babalu Tapas & Tacos is ready to spice up a special occasion or event with full-service catering. From hors d’oeuvres to a full-scale menu, Babalu Tapas & Tacos offers an extensive catering menu that includes everything from dips to sandwiches and taco bars to dessert bites. Contact Babalu Tapas & Tacos at the location of choice to find out more about the available catering services. Babalu Tapas & Tacos has an online store that offers gift cards for sale, with standard gift cards available in denominations from $5 to $500 dollars. Babalu Tapas & Tacos gift cards are shipped free to the specified recipient. These gift cards can be used at any Babalu Tapas & Tacos location and they never expire.